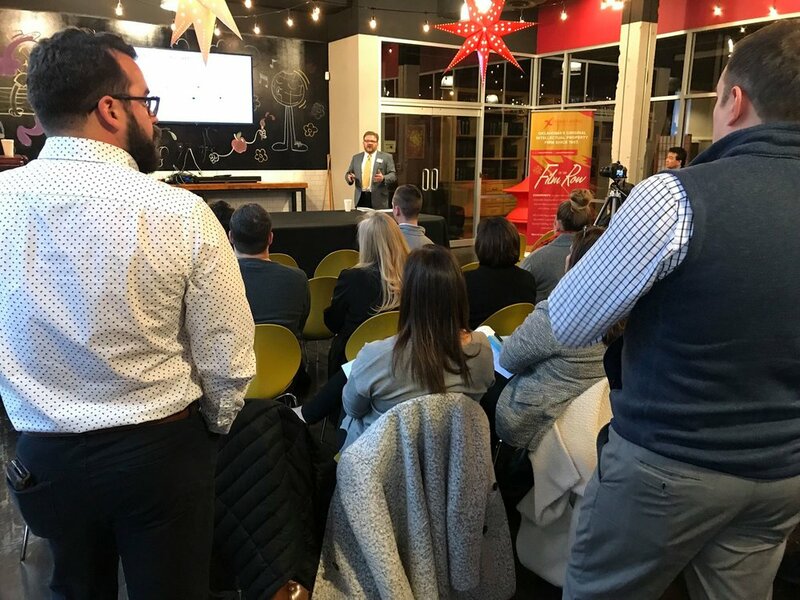 Creative Oklahoma officially launched a new program last week, designed to foster talent, innovation, and new business in our state. The Oklahoma Entrepreneurship Mentoring Program (OKEMP) is based on the Venture Mentoring Service Model, designed by the Massachusetts Institute of Technology. For the last year, OKEMP and MIT collaborated in setting up Oklahoma's new licensed version of the program and training the first mentors. Douglas Sorocco, a board member at StarSpace46, is co-director of the program, along with Dr. Craig Shimasaki. At Wednesday's launch event, the directors discussed the success of the MIT model, and the ways OKEMP will use the program to bring similar results to Oklahoma. Several of the initial entrepreneurs accepted to the program also gave presentations, including SS46 member, Daniel France. Each of these local professionals discussed their business goals, and listed qualities they hope to find in their mentors. The program's organizers have high expectations for the impact OKEMP will have on the economy of Oklahoma City, Tulsa, and the entire state. Dr. Shimasaki pointed out that all successful Fortune 500 businesses essentially start with just an entrepreneur. "We certainly want to attract businesses to come to Oklahoma, but what's better than that is actually having companies grow and stay here," Shimasaki said. The leaders of OKEMP spent time on the MIT campus learning about the program and watching it in action. It's been adopted by many institutions around the world, in over 19 different countries, mentoring over 3,000 entrepreneurs so far. Both co-directors have been part of other mentorship programs in the past, and want to build upon that experience. Sorocco brought up the difficulty in measuring the real impact of programs like OKEMP, and how they plan to get around this obstacle. "The measure of our success in the short term is really dependent upon answering, 'Does the entrepreneur find the program useful?’" Sorocco explained. Also at the event, keynote speaker Sarah Boisvert shared research on the changing face of our creative workforce as discussed in her book, "The New Collar Workforce." Boisvert has more than 20 years of experience in manufacturing and founded Fab Lab Hub, another program based at MIT. Anyone interested in the Oklahoma Entrepreneurship Mentoring Program should visit the Creative Oklahoma website or email okemp@stateofcreativity.com.